This thing is probably illegal (Hagrid hides it from the Minister) or at least shouldn't be at Hogwarts (he hides it from Dumbledore). Apologies if that seems like an anti-climax but, based on a discussion with the filmmakers, I think that's the best answer we're going to get. Firstly, if it seems that this isn't a creature that was mentioned in the books, that's because it isn't. That was my first impression as a Harry Potter gold badge holder and I was unable to find any evidence of such a creature in the books. The creature also isn't mentioned in the film's screenplay. Where then to start with a definition for a creature which isn't mentioned (as far as I can tell) in any of the books and which is only on-screen for a few seconds? After all, there's no info about it on Pottermore, anywhere online or in any of the behind-the-scenes DVD material (I did check all of the above). I started by going to IMDb and looking up the people who worked on the film, focusing on those in the Make-up Department and the Special Effects Department. As you can see, there are quite a few people credited as working on the film. A total of 22 people had a credit for working on creatures in some way. It wasn't at all clear who might be able to shed some light on our creature. I set about the task of Googling the most likely contenders. Some I could track down, some I couldn't. After several leads falling dead I came across the website of BGFX, the production company of Barrie Gower, who is credited on the film under 'creature effects'. Barrie didn't have a strong recollection of this creature but helpfully pointed me in the direction of Gary Pollard, who isn't credited by IMDb on this film for some reason but clearly did work on some of the other Harry Potter films. I've searched the script and books and can't find a reference to this creature. I'm hoping you could help me identify what it is. I'm part of a group of fans who are wondering what kind of creature it is, looking for a name more than anything else. Do you have any recollection of this creature at all? Did it or its species have a name on the set? Yes I remember the creature - I designed and sculpted it. I did a small scale maquette and then went on to sculpt it full size. I seem to remember an animatronic designer called Tamzine Hanks built the mechs and i think she was even inside the egg operating it! I had completely forgotten about it so this is funny. I think, disappointingly, it was just called 'Egg Creature'! It's such a thrill to find the person who designed this creature! It's a shame it didn't have a name as such but perhaps not surprising if it was only on screen for a moment. Still, that's a great titbit which is very helpful. I'm guessing that if it was nameless then it was an original concept that wasn't based on anything from the books? Do you have any recollection at all about the brief you were given when designing the creature? Whether it was trying to create a strange, contraband creature that Hagrid would be likely to have in his hut, or something more specific? I'm sorry, I know it's been a long time since you worked on this film. Anything else you can recall would be much appreciated. I'm pretty sure it was not from the books and purely as a strange creature for Hagrid to throw a titbit to. I know it was difficult to see (let alone catch) the morsel being offered. The brief was pretty much 'something in a large egg' and not much more. From Gary's comments I'd conclude that it clearly wasn't a creature that was being adapted from the books. It was a creation of the filmmakers and Gary was simply tasked to make "something in a large egg" to add to the mystique of Hagrid's hut. The reason there isn't more backstory on this creature is because that backstory doesn't exist. This isn't really true. Rowling was generally consulted on the films but generally didn't really put her foot down in stopping a great deal. The thinking behind the inclusion of the Egg Creature doesn't seem to be much more different than the decision to include bats in Hagrid's cabin. These creatures were added in at the instruction of the director, Alfonso Cuarón. In Harry Potter 3 we used the bats quite a bit, mainly in Hagrid's hut. They did a lot of flying around. The director, Alfonso, loved them, so he wanted them more and more, all the time. 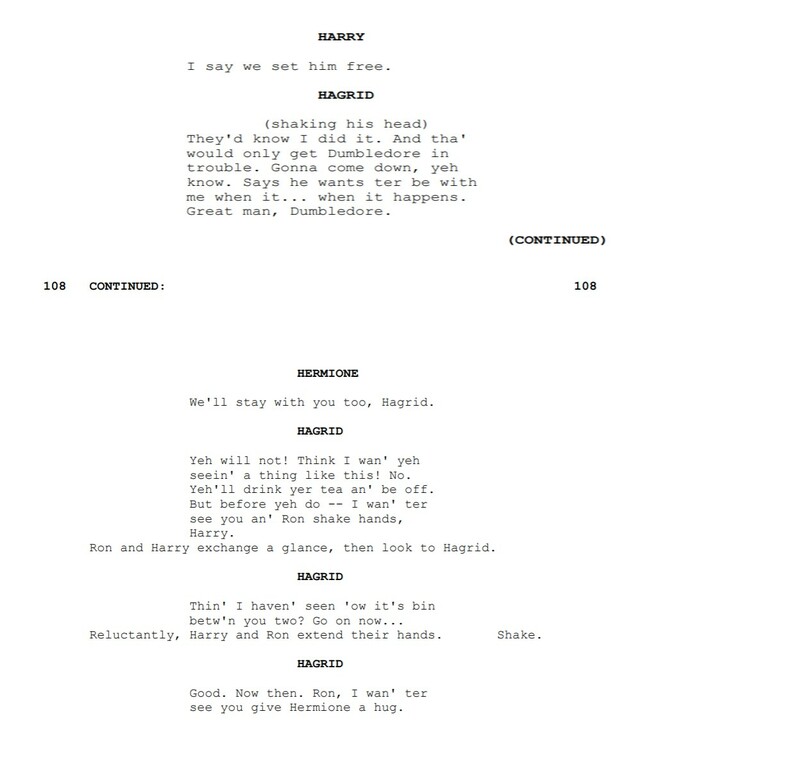 In reality, the filmmakers exercised a lot of creative control, which also explains the inclusion of things like the Frog Choir, which also don't appear in the books. 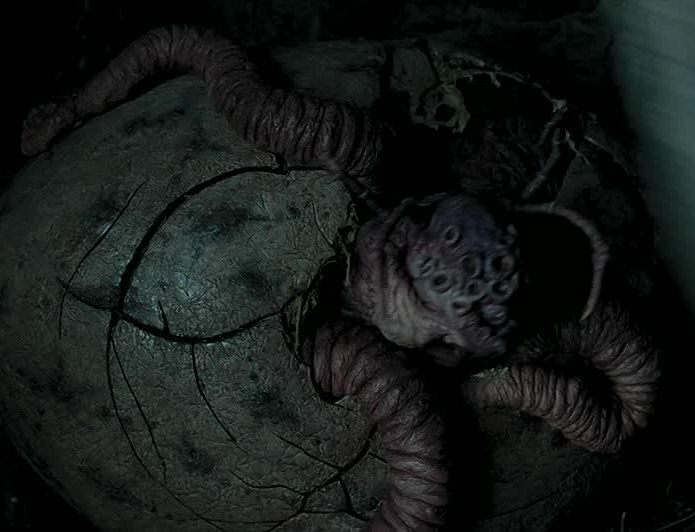 This Egg Creature therefore was a product of the filmmaking process, not an adaptation of anything Rowling ever described. Not the answer you're looking for? Browse other questions tagged harry-potter movie character-identification magical-creatures or ask your own question. Why isn't Harry Potter punished for using magic outside of Hogwarts in Prisoner of Azkaban? What happened to the past versions of Harry and Hermione in The Prisoner of Azkaban? Who is this character from Harry Potter and the Goblet of Fire?